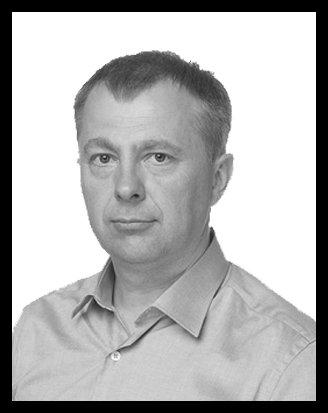 In deep sorrow, we inform that joint proprietor, vice-president of business development and chairman of the Council of JSC “SAF Tehnika” Vents Lācars has passed away after a severe illness. Vents Lācars was one of the original founders of JSC "SAF Tehnika". Before co-founding JSC "SAF Tehnika" from 1992 to 1999 he worked for “Fortech” Ltd and from 1990 to 1992 in state JSC “Latvenergo”. Vents Lācars had graduated Faculty of Physics and Mathematics of the University of Latvia in 1994. We express our deepest condolences to the family, relatives, friends, and colleagues of Vents Lācars. According to the agreement No. 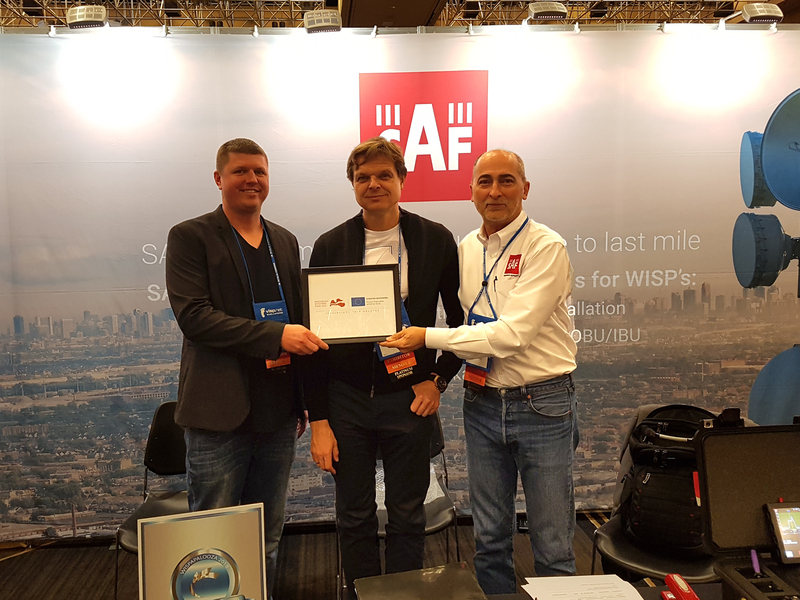 SKV-L-2016/152 concluded between „SAF Tehnika” JSC and government institution „The Investment and Development Agency of Latvia” of a project „Participation of „SAF Tehnika” JSC in international exhibitions”,on April 7-12 company exhibited at “NAB Show 2018” in Las Vegas Convention Center, USA. During the exhibition SAF Tehnika presented Spectrum Compact product series, Integra series, PhoneiX G2 and CFIP PhoenX C microwave radios. Visitors of stand were mainly from different regions of USA. SAF Tehnika is proud to announce the latest full indoor/split-mount product development - the PhoeniX G2. Supporting channel bandwidths from 7 to 60 MHz, the PhoeniX G2 supports capacities of up to 452 Mbps in 1+0 full-duplex configuration. Using the latest modem technology, the G2 enables covering longer distances due to better system gain at 256QAM, with modulations of up to 1024QAM. The capacity can be expanded to 900 Mbps in a 2+0 configuration. Among the unique features of the G2 is its compact design – a single, half-rack width IDU supports two radios, making it possible to set up 2+0 configurations using just one indoor unit. For customers who require E1/T1 support, external 16xE1/T1 modules are also available. Since the external module’s width is also a half-rack, it is possible to install both the IDU and a single module in a regular 1U rack. G2 will also support external ASI modules, providing up to 16 native ASI interfaces with low latency and low jitter. Simplex traffic support, as well as a 1+1 Full-redundancy solution, will also be available. PhoeniX G2 has XPIC support, making it possible to be more flexible in terms of channel planning. Coming with the over-the-air 256-bit encryption, hitless ACM, Ethernet Layer 1 link bonding, and more, the G2 can also be installed as a full-indoor solution, using SAF Indoor Radio Frequency Units. According to the agreement No. 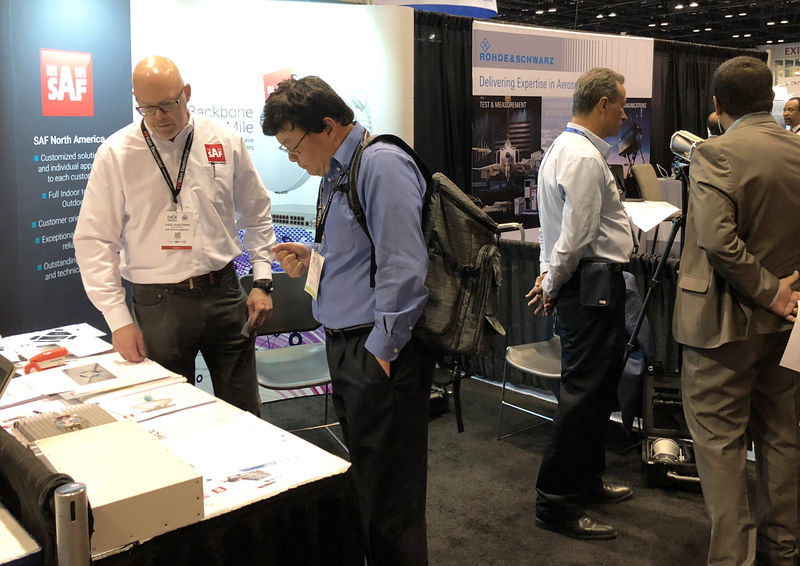 SKV-L-2016/152 concluded between „SAF Tehnika” JSC and government institution „The Investment and Development Agency of Latvia” of a project „Participation of „SAF Tehnika” JSC in international exhibitions”,on March 7-8 company exhibited at "IWCE Expo 2018" in Orlando, FL. 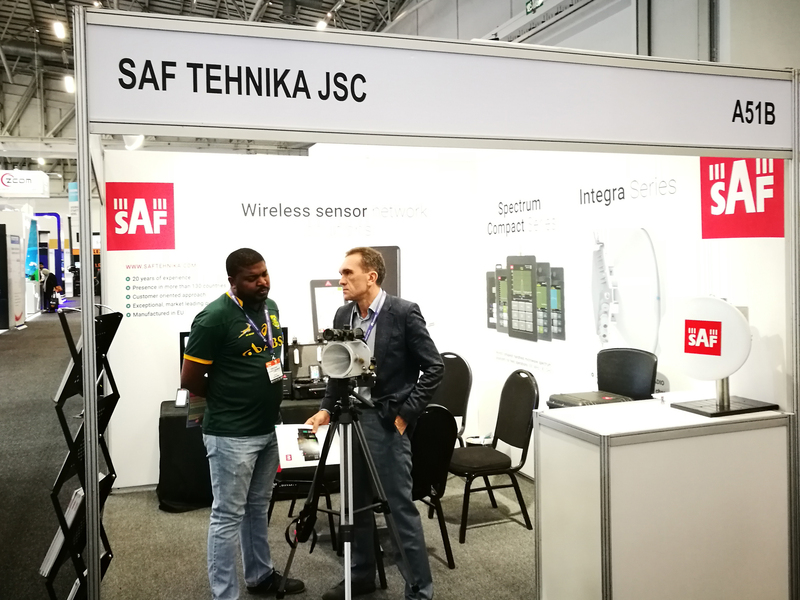 During the exhibition SAF Tehnika presented Spectrum Compact product series and microwave radios. Visitors of stand were mainly from different regions of USA. 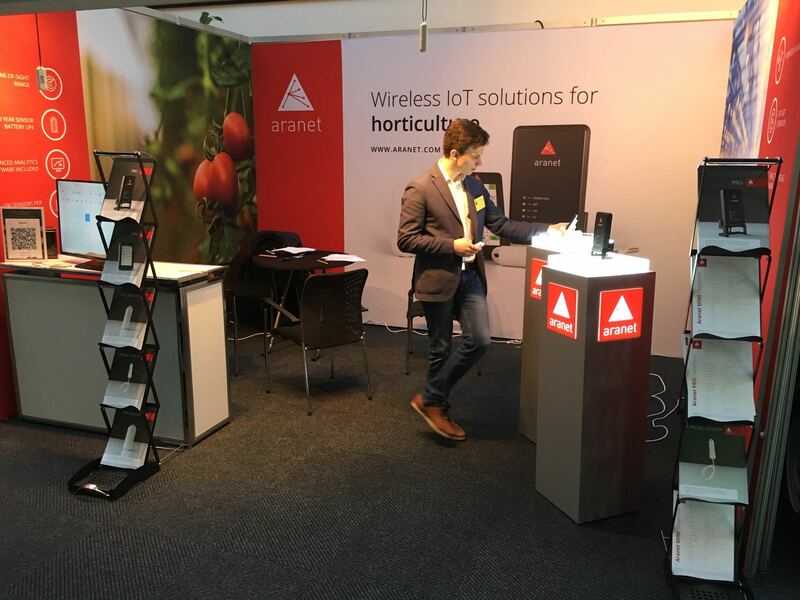 SAF Tehnika has successfully participated in exhibition "HortiContact GO 2018 (GO)"
According to the agreement No. SKV-L-2016/152 concluded between „SAF Tehnika” JSC and government institution „The Investment and Development Agency of Latvia” of a project „Participation of „SAF Tehnika” JSC in international exhibitions”,on February 20-22 company exhibited at "HortiContact GO 2018 (GO)" in Gorinchem , Netherland.